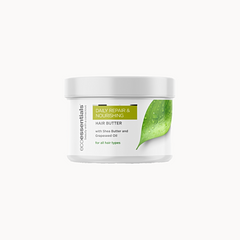 This powerful set nourishes, deep conditions, repairs damage, reduces breakage—instantly. This super-repairing set is everything you need to grow beautiful, healthy and flawless hair—fast. Start with the Moisturising Shampoo, which is sulfate-free so it is safe for color-treated or any other chemically treated hair, and it won’t strip away your natural moisture. Wet your hair, start massaging your hair and whip up a good lather for 1 minute or 2 so the shampoo can do its job. Rinse out the shampoo with warm water, then work the Revitalising Conditioner into your wet hair. Detangle hair with your fingers and be sure to cover all your hair with the rich cream. Leave in your hair for 3 to 5 minutes, then rinse out. 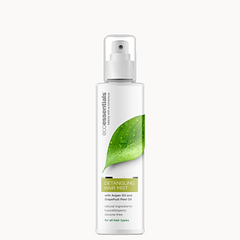 Before styling, apply the Detangling Mist Mist. Hold bottle 6-8 inches from hair and spray all over. Use on wet or dry hair to help detangle. Use on dry hair to refresh style. Don’t rinse out. Once the hair is dry, Place a small amount of the Daily Repair & Nourishing Hair Butter into the palm of your hand and rub hands together. Apply to damp or dry hair. Gently work into your hair and scalp, with an extra focus on the ends. Where there may be more damage. Style as you normally would. Now let’s repair those split ends and hair strands: Apply 1-3 drops of the Hair Growth Oil into the palm of your hand, rub them together and apply on hair by pressing and massaging product into hair. For maintenance of scalp health, dispense 1-3 drops onto the back of your hand and using your fingertips to apply the product directly onto scalp, massage in circular motion to improve circulation.